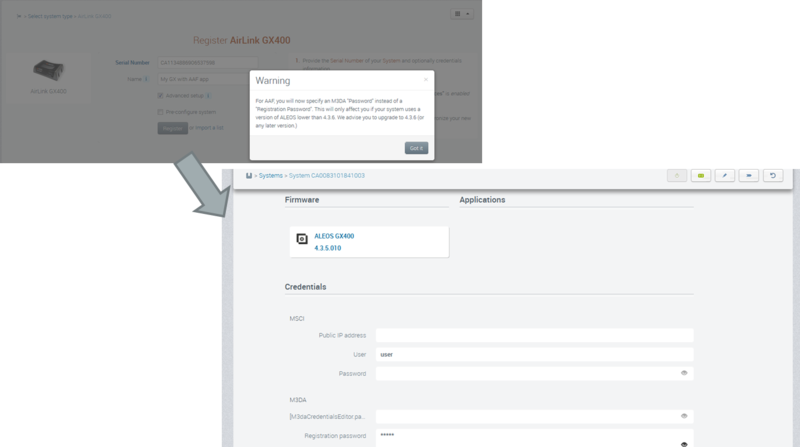 Third-party applications request your authorization to use AirVantage API (for Authorization Code Flow Or Implicit Code Flow). 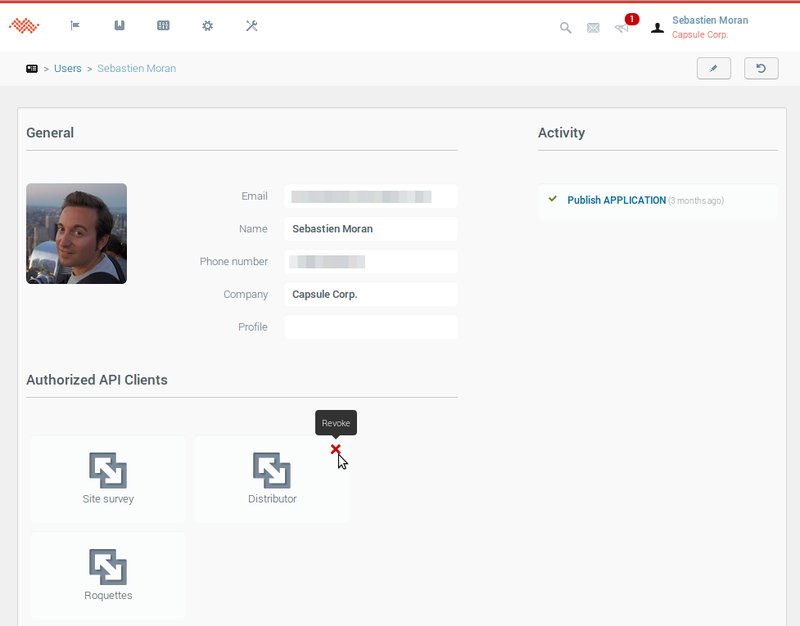 You can now list but also revoke all authorized API clients from My Profile on the user interface. Revoked API clients cannot interact any more with AirVantage. Now we have simplified the way to edit a system. From now on, you can modify the setup of a system on the Inventory/ System page without switching it to Maintenance state. If you want to deactivate monitoring on some systems (e.g. for maintenance purposes), you can change the system state by using the new button “switch to maintenance” on the Action menu bar and Actions column. Welcome to the AirPrime SL8 smart modules (SL8080T, 8082T and 8084T) – the latest additions to the AirVantage device catalog. 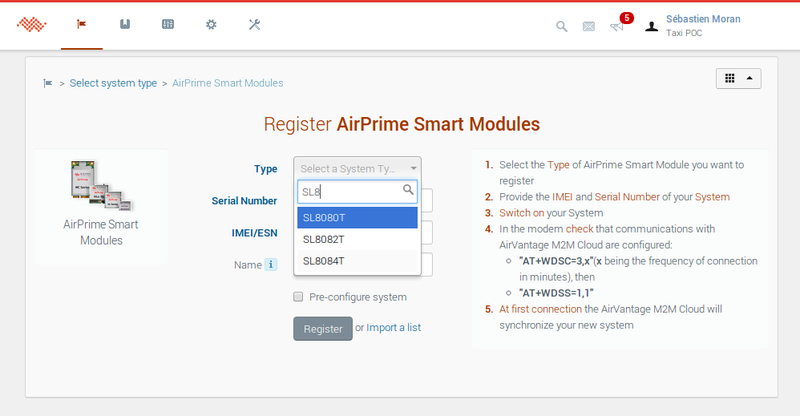 You can now easily create a system with an SL8 module in the Register tab, upgrade firmware or OpenAT application, and monitor the module parameters from AirVantage. We have reworked a little bit the way to access to the last data points sent to AirVantage. You now just have to click on the application name. In order to simplify management of M3DA passwords on devices using the ALEOS Application Framework and ensure seamless communication over the whole system life cycle, the M3DA registration password will be replaced by the standard M3DA password. 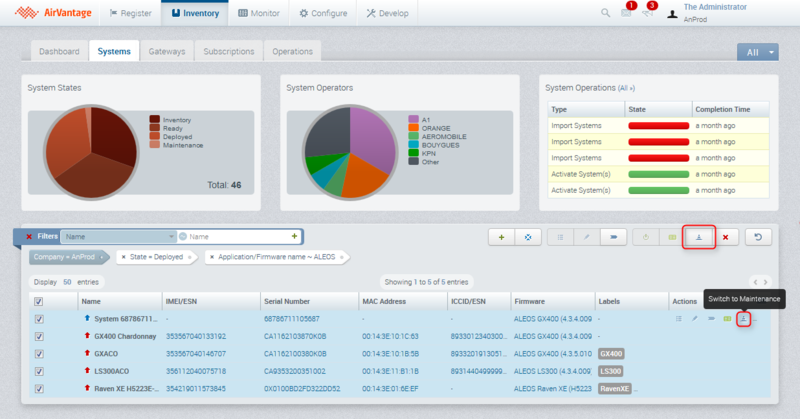 The M3DA password is used to encrypt data transmitted to or from AirVantage. This will be effective with the upcoming ALEOS 4.3.6 and AirVantage 14.07 releases. 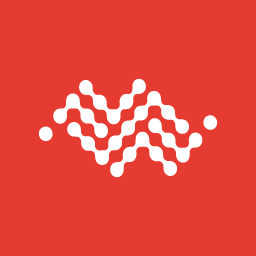 Devices that have already been registered with AirVantage will continue to communicate normally using the previous automatically negotiated M3DA password. If the M3DA password needs to be verified or updated after AirVantage 14.07 has been released, this can be done by using the inventory section to edit the application credentials. 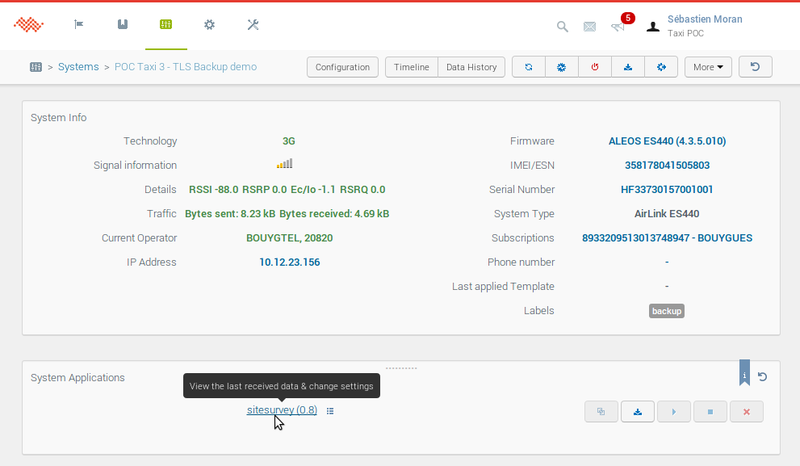 We advise users wanting to register new devices with AAF enabled to first upgrade those devices to ALEOS 4.3.6. 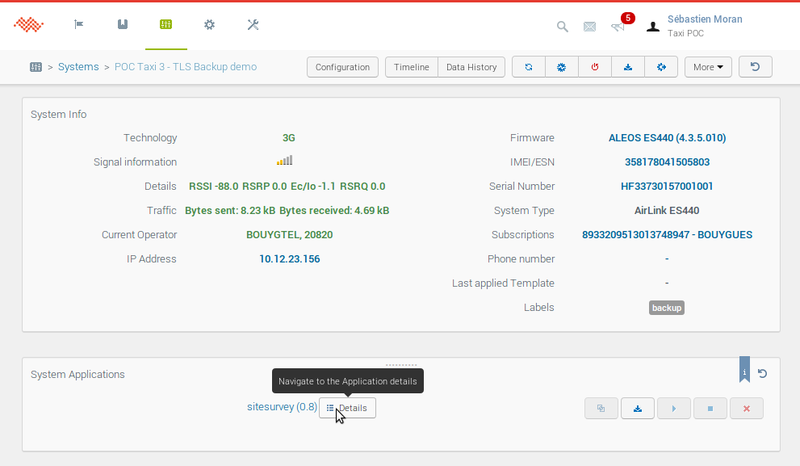 Starting with ALEOS 4.3.6, when registering new devices with AirVantage, users will need to use the password that has been entered in ACEmanager under Applications > ALEOS Application Framework > [Advanced] > M3DA Password. On new devices this password defaults to “12345”.